We spent days drilling in this location. 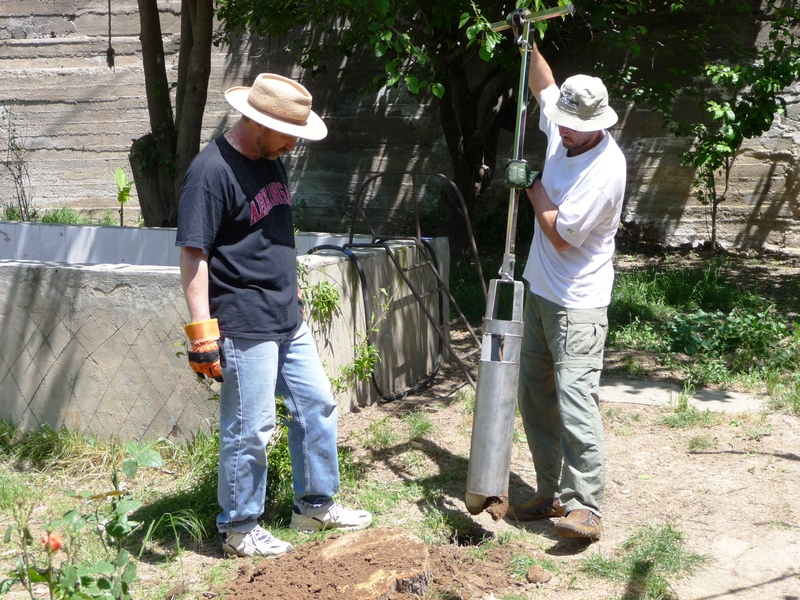 We pulled countless buckets of the same exact soil…for meters and meters. It never changed. While I was getting frustrated in how long it was taking and how slow our progress was God was working out all the kinks in the operation. We ended up making some changes in how to operate the instrument and since we had to lift out such a long length of extensions (which can be very heavy) we really perfected the system in which we exchange extensions and secure the drill from falling into the bore hole. We hit rock around 18 meters (approx. 59 feet). 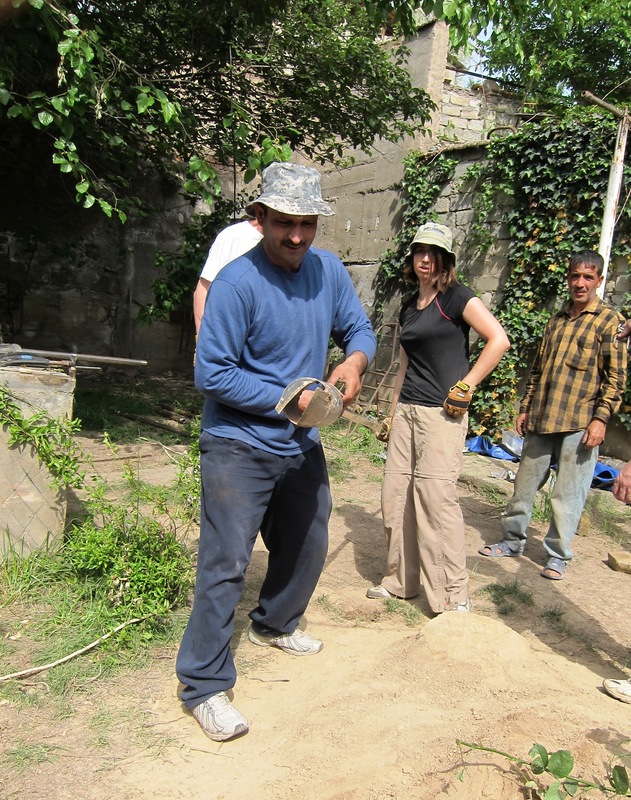 At first we thought we could bust through the rock so we went back to the Bazaar to purchase pipe collars for some iron pipes that the host had on-site. We used a hardened steel end cap that was cone-shaped with a defined sharp point. The cone was welded to the end of one of the pipes and the whole thing was slowly lowered down the hole. This procedure took a long time to complete. We had to shop for the items, weld the parts and then lower one length of pipe down the hole, lock it into position, attach another piece of pipe, lower down the hole and repeat until we hit the bottom. At that point, the entire piece (nicknamed “the cracker”) was raised and dropped and then struck with a large hammer in an attempt to break the rock. We thought we broke the rock but once we pulled everything out and then dropped the drill bucket back into the hole, we were unable to retrieve any pieces of the rock. At that time, we were not sure how big it was, if we had in fact broken it or only penetrated the earth beside the rock. 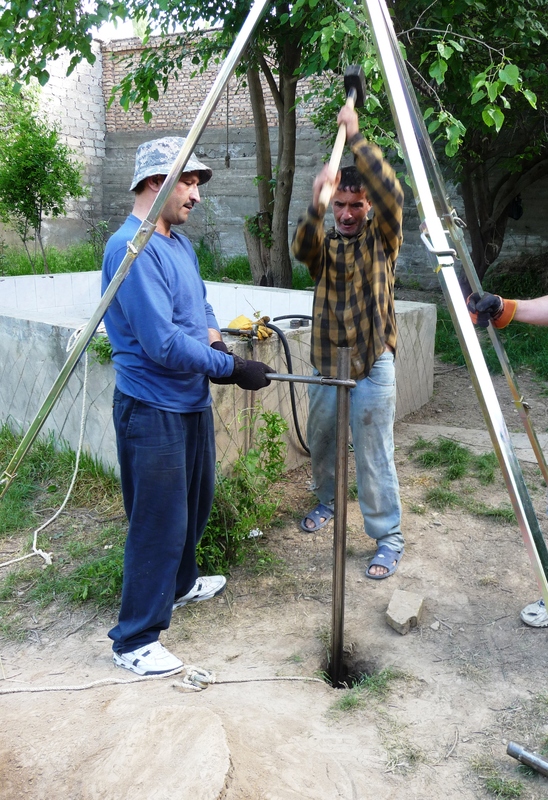 It was decided the next day to try to increase the size of the bore hole. We had multiple bits on location. 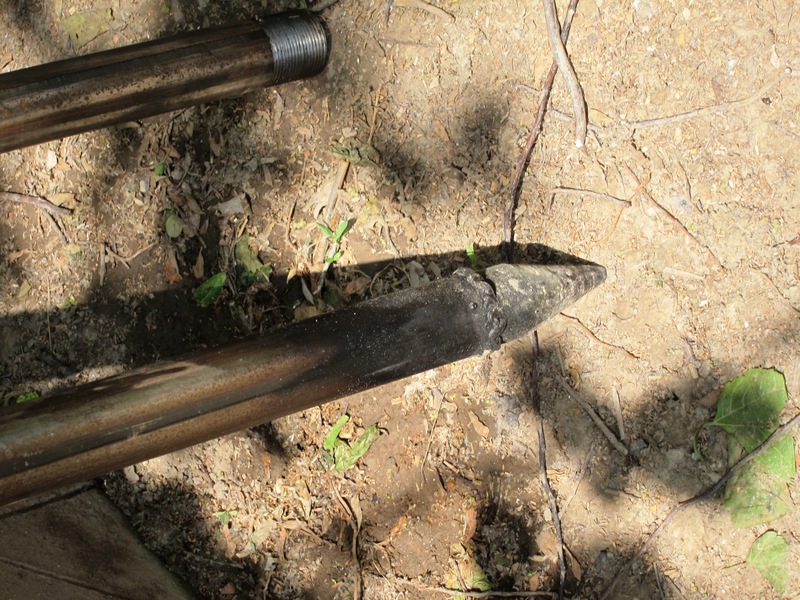 The two standard bits provided a borehole that was 6” in diameter. The other bit – a prototype – provided a 7” hole. We decided to re-drill the entire depth of the hole with the large bit in an attempt to open up the hole to the side of the rock. When you drill to the depths that we went, the hole has a tendency to curve slightly. The drill follows the path of least resistance and since each extension is attached at 3’ intervals, it is hard to control when the drilling is 50’ below you. We thought that the large bit might dig a straighter hole and maybe, by doing so, we would slide to the side of the rock.